Airy pork clouds flavored with rosemary and sea salt are one of the addictive snacks in F&W's collection for Mouth.com. Airy pork clouds flavored with rosemary and sea salt are one of the addictive snacks in F&W's collection for Mouth.com. "These game-changing airy pork puffs taste like they came from an herb farm on the Mediterranean," says F&W executive food editor Tina Ujlaki. 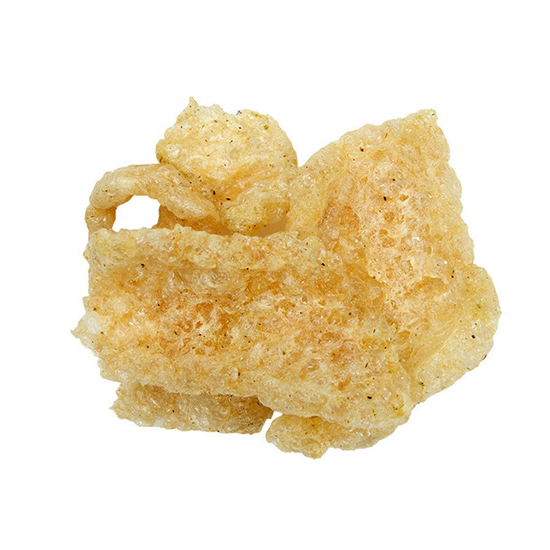 From gratins to salads, here are five ways to make the most of these tasty pork rinds. 1. Crumble on top of a potato gratin. 2. Fold into an egg white scramble at the last minute. 3. Tuck into an avocado sandwich for a tasty and surprising crunch. 5. Use as carb-free scoops for guacamole and salsa on game day.